In WP 1, the pre-selection, evaluation of European rapeseed varieties and breeding lines as well as potential for improvement of rapeseed nutritional value by focusing on regions of genome which is responsible for NSP and shortening the breeding time via novel strategy will be addressed. The feed technology and processing section of WP 2 is aimed to develop technological and biotechnological procedures that can improve nutritional and functional properties of rapeseed derived products while applicability as well as environmental and economic benefits of the developed technologies are taken into account. The objective of the technological processing of rapeseed will be effective, resource-efficient, sustainable and practically relevant for use in small and medium enterprises. 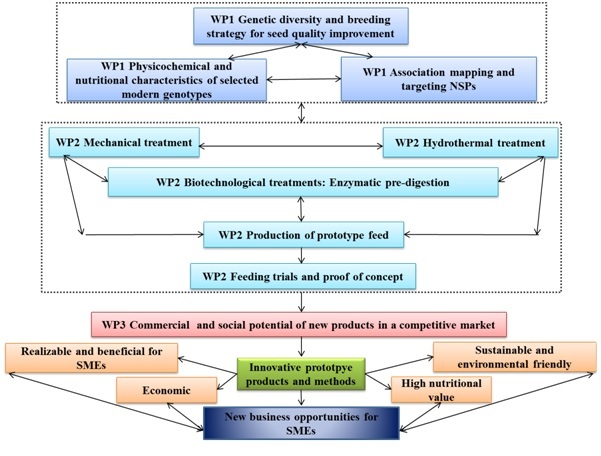 In WP 3, the economic, legal and social aspects of the newly developed varieties and products will be examined and compared with genetically modified feed ingredients and feed. The factors that influence the small and medium poultry farms willingness to use the innovative biotechnologies and prototype product will be analyzed. 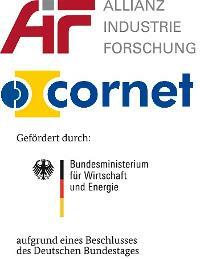 The advantages and disadvantages of the developed biotechnologies for SME in Poland and Germany will be assessed.